In my regular skirmishes with stress-induced insomnia, I’ve found a weapon – a five-hour recording of waves breaking on the wide open ocean, rather similar to the sound of leafy branches swaying and rustling together in a high wind. The slow hypnotic shushing noise, funnelled straight into my head through earphones, is supposed to lull my brain waves and breathing into a corresponding state of calm. It’s monotonous, for sure. There’s hardly any variation in pitch, and the rhythm is just a predictable swell and release – inhale, exhale. It’s not what you’d call ‘music’. 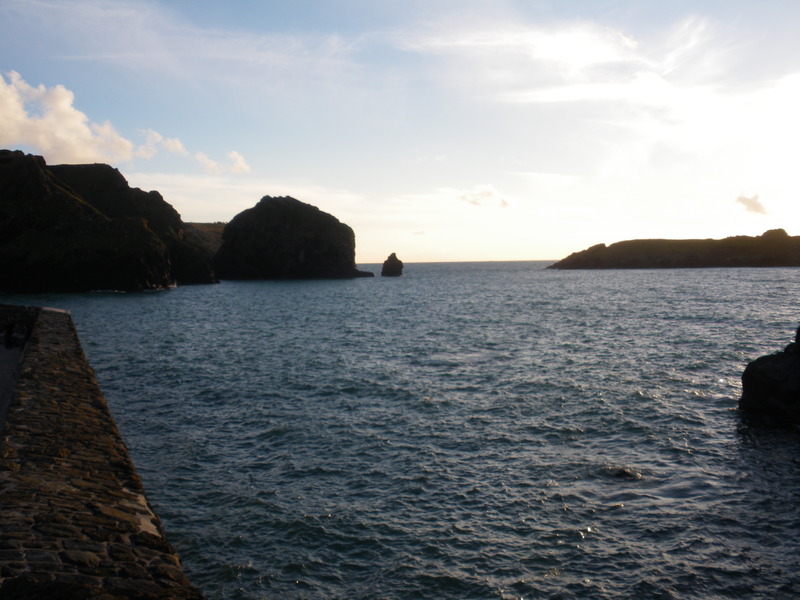 This is the real sound of the sea, yet many composers, from the Romantic era onward, have been inspired to improve on it with their own melodic interpretations. One of those is Benjamin Britten, who wrote four Sea Interludes for his opera Peter Grimes. In the third of these pieces, ‘Moonlight’, the impression of small waves swelling and subsiding is captured by means of a repeated short crescendo and equally short diminuendo – simply pushing gently and letting go. This effect can be achieved with any instrument that’s capable of getting louder and then softer on a single note, so all of the wind and bowed string sections can do it, but percussion can’t. Where the percussion instruments do come into their own, though, is in their ability to mimic the sound of water hitting another surface. 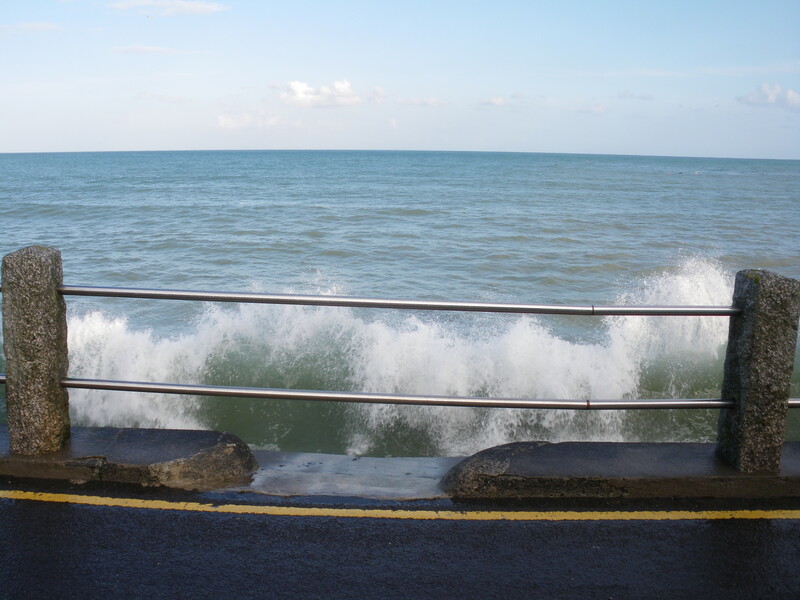 In Cornwall once, I watched waves slapping against a harbour wall, sending a shower of spray over the railings. Every so often, there was an eerie ‘boom’ like a drum, which seemed to come from the force of the water beneath the surface, bouncing off the wall. And whenever I hear surf on the beach, reaching the limit of its flow and falling back, taking the shingle with it, I always think of the sizzle of cymbals. Another of Britten’s Sea Interludes, ‘Storm’, uses cymbals and tympani to create just these effects. In a different musical genre, ‘The mighty Atlantic’ by Scottish folk-rock band Runrig (from Mara, their concept album based on the sea), features a big bass drum in the instrumental section towards the end – to my mind, the highlight of the track. My soporific ocean wave recording is very boring by comparison with these musical depictions of the sea’s many ‘moods’ – but that’s the point, of course. All you want when you’re still awake at 3.00 am is the sound of Zzzzzzz. This entry was posted in Music and tagged Britten, music, ocean, percussion, Runrig, sea, sleep. Bookmark the permalink.